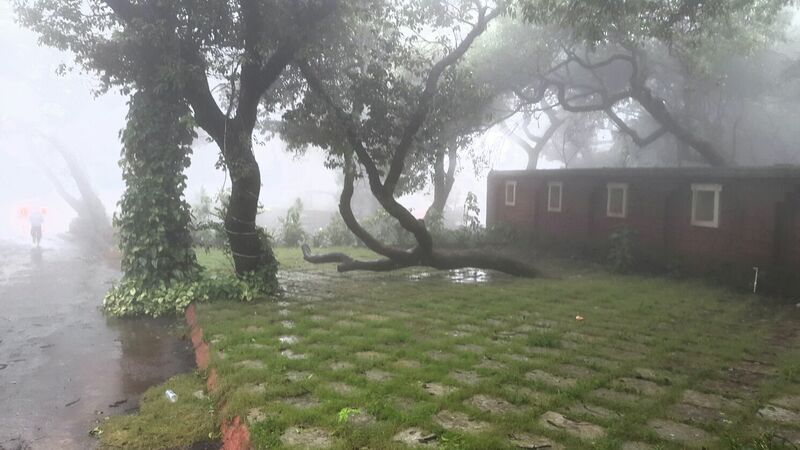 Mahabaleshwar is now a perennial tourist destination. 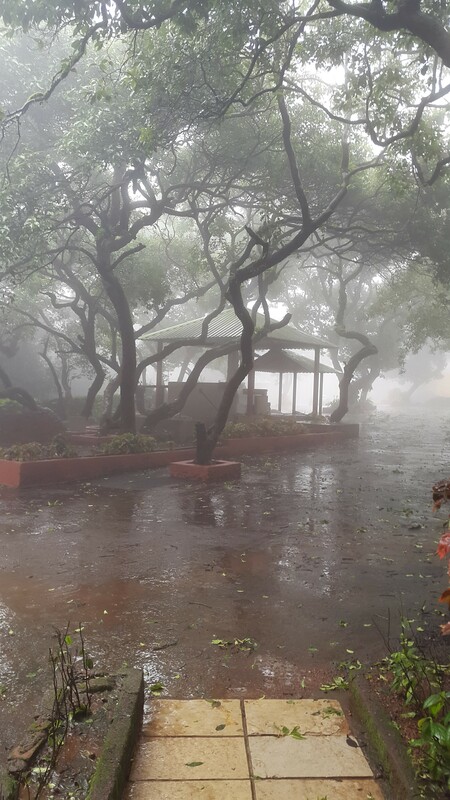 Its undoubtedly beautiful in winters, but in monsoons its heaven. We are just back from our weekend trip on Sunday and the smell of oxygen-loaded fresh air and the pitter-patter of rains are still afresh in my memory. After a lot of thoughtful consideration, we’d booked ourselves at Hotel Regal – A Woodside Retreat …literally! It’s serene and tranquil, away from the noise and in the lap of nature. The only sounds you hear are of chirping birds and crickets. 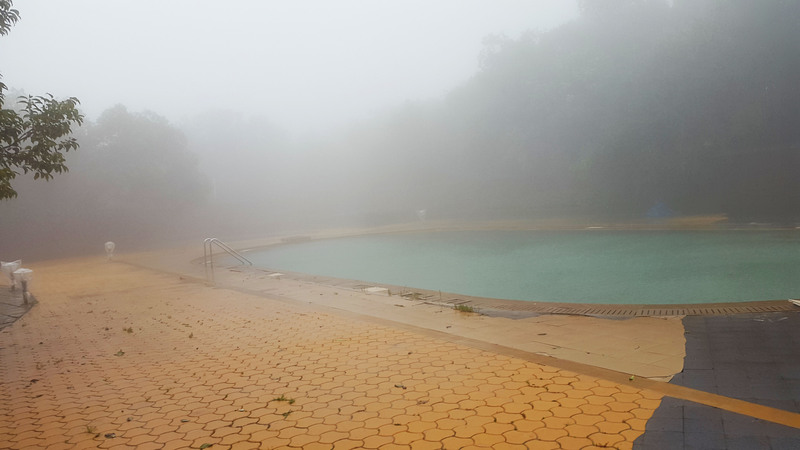 The moment you are in the hotel premises, you are welcomed by fog and the lush green trees…. A scene we always see in the movies. The hotel is just a kilometer away i.e., a 20 minutes walk, from the main market area. 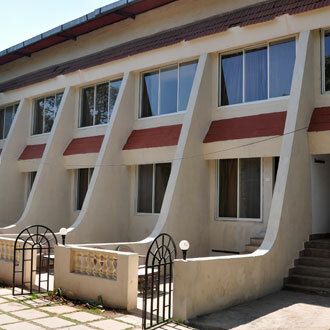 The hotel boasts of 45 rooms in various categories. We’d booked the Splendid Room on the ground floor and facing the woods (In the pic, its the 3rd one from the right). This included the ‘All Meals’ plan. 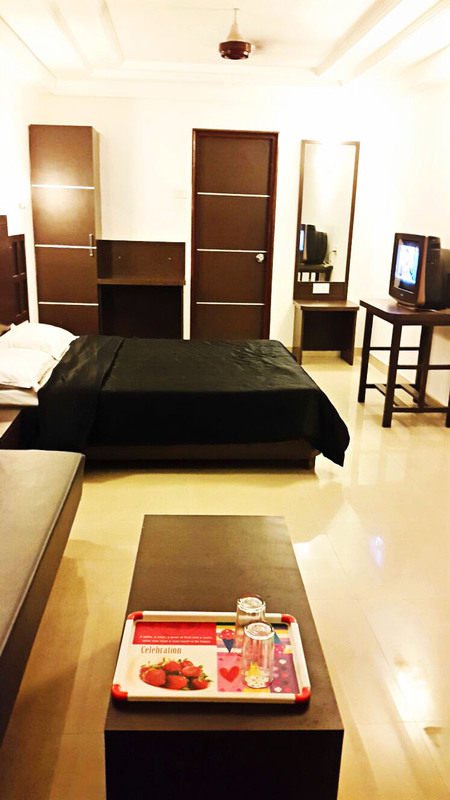 The room is spacious, equipped and brightly lit up with a small wardrobe. There’s also an AC. But who needs an AC when it’s so chilling already. The room has a large sliding window with a mosquito mesh. So you don’t really miss the balcony. It was nice to sit on the window sipping a hot cup of ginger tea and enjoying the rains. The bath/ toilet is also quiet big and clean. Hot water is timed from 7 to 10 am. Facilities include a huge, clean and well-maintained swimming pool, a lawn, children’s play area, table tennis, carom board, a big dining area, laundry, car on rent and an almost 24 hrs help desk. There is an ample space for car-park. 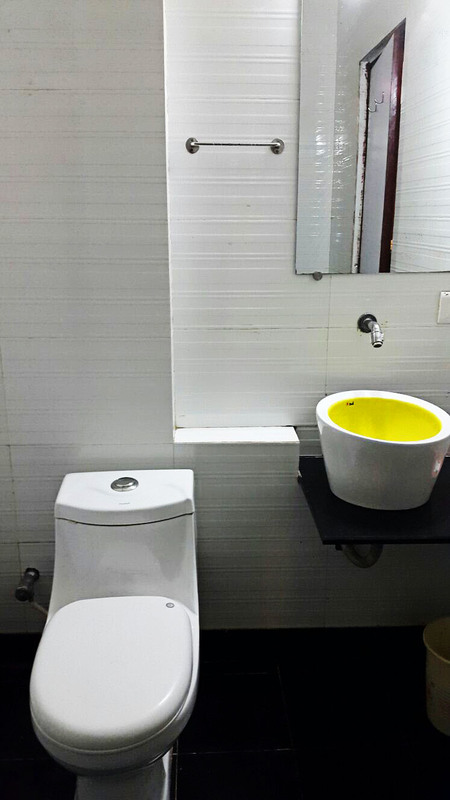 Mr. Amol, the Manager had been very helpful right from the time of booking till the check-out. The check-in time at the hotel is 10 am. Our bus was pretty fast and we reached at 5.45 am, which was almost 5 hrs earlier than the check-in time. It was very thoughtful of Mr. Amol to leave the keys of our room with the care-taker the previous night. This saved us from cooling our heels in the already biting cold. He is at the reception around 7 am till after 9 pm. I couldn’t stop myself from asking him how he did this with the same energy throughout the day. We were amazed by his service… not a single call made to the reception went un-attended. The room-service is also really fast. They are on their toes to serve. A type of hospitality every tourist dreams of. Speaking of food, we had 3 breakfasts, 2 lunches and 2 dinners. You have to trust me on this…not a single item on the menu was repeated. The food is tasty without any compromise made on the quality. I was astonished to see veg clear soup, dum aaloo, malai-kofta, veg fried rice, kheer, soft chapaties smeared with ghee, etc… and served with so much of love. The guys attending the food counter are simple but so very eager to serve. Hotel Regal hits all my checkboxes – room, service, food, facilities and entertainment. I give a 10/10 for this hotel. Again, a hearty ‘Thank you’, Team Regal and all the very best!! !